Running out of storage space on PCs is one of the most annoying problems, especially in the case of laptops, which is where external hard disks come to the rescue as they not only provide the required storage space, but also offer the benefit of portability. In case you’ve been looking to buy an external hard disk, the Sony 2TB external hard disk is available at a discounted price point of just Rs. 5,399 on Flipkart. The Sony hard disk, which is usually priced at Rs. 5,799, is now significantly cheaper following the price cut during Flipkart’s ongoing sales fest, and is now one of the best devices in its price bracket. The portable Sony device features USB 3.0 connectivity standard for significantly faster data transfer speeds, which Sony claims to be 10x faster when compared to the USB 2.0 standard. Moreover, the Sony offering also comes with the company’s proprietary data transfer accelerator software to further boost the data transfer speed. The storage device is compatible with computers, PlayStation 3 consoles, and Sony Blu-ray disc players, however, the aforementioned data transfer accelerator software is incompatible with Windows 10. Moreover, one can set-up an automatic backup schedule on the storage device as a data security measure. 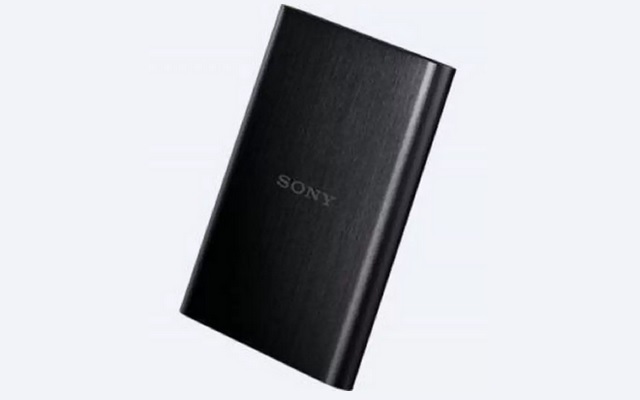 Now, when it comes to data security, the Sony external hard disk drive features AES 256-bit algorithm data encryption and password protection technologies, which means you need not have sleepless nights about data security. The device is claimed to offer a peak data transfer speed of 480 Mbps and also comes with 3 years of warranty. An additional 10% discount is also on the table if you purchase the device using an HDFC Bank credit card, and an instant 5% off on the final cart value if you buy the Sony storage device using an Axis Bank Buzz credit card.